Innovative design is not a term typically used to describe healthcare facilities. Most Canadian centres constructed in the middle of the last century, were not designed with patient comfort in mind -frightening medical equipment, stark decor, and lack of privacy. As the baby boomer population grows older, many hospitals and healthcare facilities are being constructed and retrofitted in order to meet the needs of this influential group – which is often said to be much more demanding then generations before it. How are healthcare facilities responding to this fundamental shift in patient needs and expectations? At the heart of this shift is a more patient-centered business model, improving patient outcomes, while at the same time increasing employee morale. Skeptics are quick to comment on the impact that design may or may not have on patient outcomes. However, examples of clinically-backed research data supporting the claim have been linked to reduced pain rates, improved test results, and numerous lives saved. Improved patient experience: does your facility make the patient feel more at home? Healing environments can contribute greatly to well-being, and have a lasting effect on patients. As the patient’s first impression of a facility, managers are beginning to put more care and consideration into creating a welcoming environment that will improve perceived quality of care, and boost overall patient satisfaction. Clinical environments can be overwhelming, busy, and stressful. Accommodating patients in environments that closely match their home life can be very beneficial. Personalized patient rooms reduce anxiety and stress while improving patient comfort, helping to neutralize negative effects associated with a lengthy hospital stay, giving patients and loved ones a higher sense of comfort regarding their medical care. Reduced infection rates: can better design and material translate to less patient risk? Hospital infections occur in approximately 30% of patients and can be extremely dangerous, due to their ability to quickly spread through a facility (HBR, 2015). Furniture can play a big role in the area of infection control. Utilizing equipment and interior products with antimicrobial properties, impedes the growth and spread of bacteria. Facility mangers have begun to take note of the materials in which their equipment and furniture is constructed. Easy-to-clean materials impact facility performance and success, where simple changes such as this can help hospitals and healthcare facilities prevent the spread of infection, protecting patients, staff, and visitors. Is it possible to move the equipment and staff instead of the patient? Being transferred through clinics, wards, and healthcare facilities can be exhausting, for both patients and staff members. Allowing patients to remain in their room as much as possible, from admission through to discharge, lowers the potential for medical errors, while reducing patient stress and discomfort. Aiming to improve infection control measures, facilities that have patients stay in single rooms greatly reduce the risk of infection by eliminating any additional patients. While single patient rooms are beneficial, the reality of facilities running at or over-capacity makes it difficult to plan around. Multi-patient rooms with improved privacy, via well designed curtain systems, can help facilities strike a balance between patient needs, moving staff and equipment to and from, and the finite amount of beds and space at any given time. Enhanced employee morale: can facility design impact job satisfaction? Updated and improved design plays a significant role in the strategic retention of employees within a healthcare facility. Studies show that improvements contributing to employee working conditions (lighting, noise levels, routine tasks) can decrease sick days by approximately 20% -resulting in significant cost savings as well as employee satisfaction rates (HBR, 2015). Effective design, as well as proper training, give staff a clear picture of ones’ own purpose within the organization. Staff are more apt to engage with patients, carry out proper procedural steps and stages, and work to create successful medical outcomes. Healing images, that include photographs and scenes of nature, have been proven to help staff effectively handle and cope with the stress of providing patients with medical care. Facility design that is patient, family, and employee-oriented is more likely to meet operation goals, as well as improve quality and safety measures. In efforts to include and respect the family of patients, more and more healthcare centres are recognizing the benefits toward implementing practices related to patient-centered care. More and more facilities are opting for sleek design features, however, modern updates are carried out with the intention of not only improving outcomes, but minimizing down-times, reducing costs, and increasing patient satisfaction. 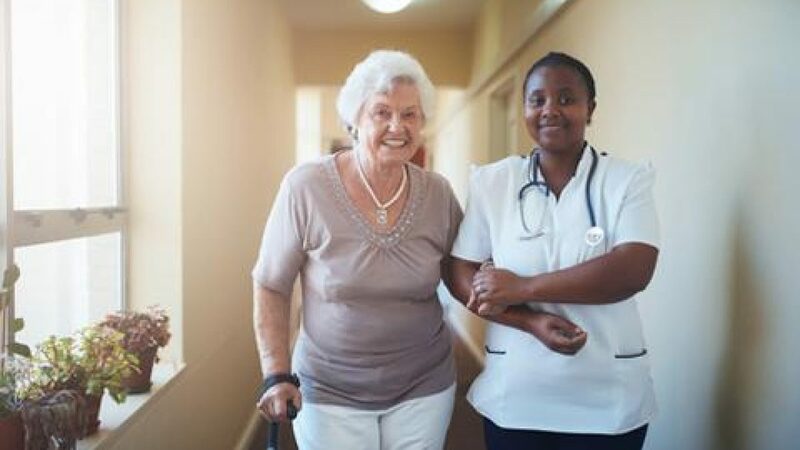 Facilities will do well to properly accommodate patient needs, but also to the needs of family, friends, nurses, doctors, and additional caregivers. The overall objective is to create a facility interior that makes patients as comfortable and cared for as possible. Creating a home-away-from-home and a reduction in stress can result in shorter hospitals stays, which benefits both the patient and the facility.